"New on DVD this week!" There are some amazing classic American horror films being re-released on Blu-ray today, and they have collectively earned the title as our Recommendation of the Week. 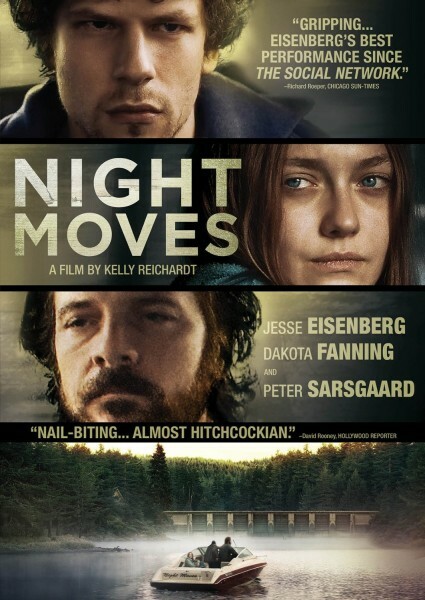 New Release: Night Moves – (Blu-ray and DVD) They Came Together – (Blu-ray, DVD and Instant) Draft Day – (Blu-ray, DVD and Instant) For No Good Reason – (Blu-ray and Instant) Cabin Fever 3: Patient Zero – (Blu-ray, DVD and Instant) Moms' Night Out – (Blu-ray, DVD and Instant) Re-Release: Casper (1995) – (Blu-ray) Dracula (1931) – (Blu-ray) *Recommendation(s) of the Week* Dracula (1931) – (Blu-ray) *Recommendation(s) of the Week* Directed by Todd Browning and Karl Freund (uncredited) Written by Bram Stoker, Hamilton Deane (from the play adapted by), John L. Balderston (from the play adapted by), Garrett Fort (play script), Louis Bromfield (contributing writer, uncredited), Tod Browning (uncredited), Max Cohen (titles, uncredited), Dudley Murphy (additional dialogue, uncredited) and Louis Stevens (contributing writer, uncredited) Starring: Bela Lugosi, Helen Chandler, David Manners The American horror film that started it all. 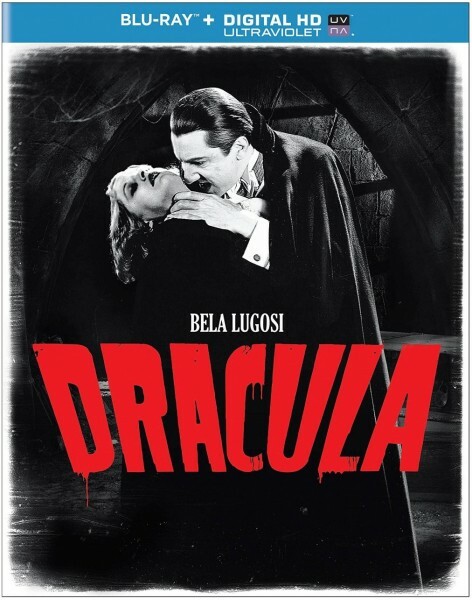 Released in 1931, Dracula spawned the horror genre as we know it, and was followed up by the release of countless others; many of which are being re-released today: Frankenstein (1931) The Mummy (1932) The Invisible Man (1933) The Bride of Frankenstein (1935) The Wolf Man (1941) Phantom of the Opera (1943) Creature From the Black Lagoon (1954) Critics Rating (Rotten Tomatoes): 91% (Excellent) IMDB: 7.7 (Very Good) Entertainment Fuse: 9/10 DISC DETAILS Amazon: $16.28 (Blu-ray) Night Moves – (Blu-ray and DVD) Directed by Kelly Reichardt Written by Kelly Reichardt and Jonathan Raymond Starring: Jesse Eisenberg, Dakota Fanning, Peter Sarsgaard Night Moves is a story of environmental activism taken to its most extreme. Josh (Eisenberg), Dena (Fanning) and Harmon (Sarsgaard) are environmentalists who detest the exploitation of the earth to promote mass consumerism and greed. In order to protest against the perceived evil, the three plan to destroy a hydroelectric dam, and make their ultimate contribution to “saving” the earth. 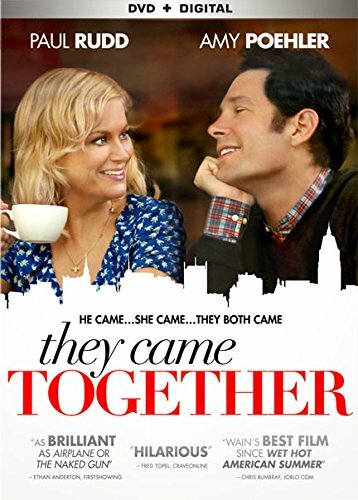 Critics Rating (Rotten Tomatoes): 85% (Very Good) Metacritic: 75 (Very Good) IMDB: 6.2 (Good) Entertainment Fuse: 7/10 DISC DETAILS Amazon: $23.96 (Blu-ray); $14.97 (DVD) They Came Together – (Blu-ray, DVD and Instant) Directed by David Wain Written by Michael Showalter and David Wain Starring: Amy Pohler, Paul Rudd, Bill Hader They Came Together is director David Wain's (Wet Hot American Summer) takedown of the traditional romantic comedy. Plenty of star power and satirical antics, Wain's rom-com spin is a must for all lovers of the genre. Critics Rating (Rotten Tomatoes): 69% (Fresh) Metacritic: 60 (Good) IMDB: 5.5 (Okay) DISC DETAILS Special Features: Audio Commentary with Wain and Showalter; “They All Came Together” Featurette of the production of the film; Full-length table read at San Francisco Sketchfest comedy festival; Deleted Scenes; Trailer Amazon: $14.99 (Blu-ray); $11.99 (DVD); $6.99/$19.99 (Instant Rent/ Buy) Score (DVDTalk.com): Content: 4 stars(out of 5); Video: 4.5 stars; Audio: 4 stars; Extras: 4 stars; Replay: 3 stars. Highly Recommended. 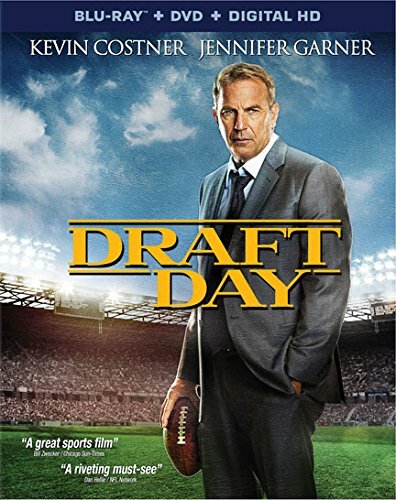 Draft Day – (Blu-ray, DVD and Instant) Directed by Ivan Reitman Written by Scott Rothman, Rajiv Joseph Starring: Kevin Costner, Chadwick Boseman, Jennifer Garner Kevin Costner stars as general manager of the Cleveland Browns, Sonny Weaver who has just traded for the number one pick in the NFL Draft. GM Weaver must weigh all of the options in order to rebuild his struggling team in this well-made sports drama. Critics Rating (Rotten Tomatoes): 62% (Fresh) Metacritic: 54 (Okay) IMDB: 6.8 (Good) DISC DETAILS Amazon: $17.99 (Blu-ray); $14.96 (DVD); $3.99/$12.99 (Instant Rent/ Buy) For No Good Reason – (Blu-ray and Instant) Directed by Charlie Paul Starring: Ralph Steadman, Johnny Depp, Hunter S. Thompson Johnny Depp profiles the revolutionary Gonzo artist, Ralph Steadman in this in-depth documentary. Critics Rating (Rotten Tomatoes): 64% (Fresh) Metacritic: 56 (Okay) IMDB: 6.7 (Good) DISC DETAILS Special Features: Audio Commentary with Charlie Paul and producer (/Charlie's wife) Lucy Paul; Q&A featuring Charlie Paul and Ralph Steadman; Cherrywood Canyon a brand new short directed by Charlie Paul featuring artwork by Steadman; Extended Interviews; Deleted Scenes; Trailer Amazon: $26.99 (Blu-ray); $3.99/$14.99 (Instant Rent/ Buy) Score (DVDTalk.com): Content: 4.5 stars(out of 5); Video: 4.5 stars; Audio: 4 stars; Extras: 4 stars; Replay: 4 stars. Highly Recommended. Cabin Fever 3: Patient Zero – (Blu-ray, DVD and Instant) Directed by Kaare Andrews Written by Jake Wade Wall (screenplay) Starring: Sean Astin, Currie Graham, Ryan Donowho A bachelor party goes horribly wrong when the men stumble upon an abandoned research facility and unleashes a deadly virus. 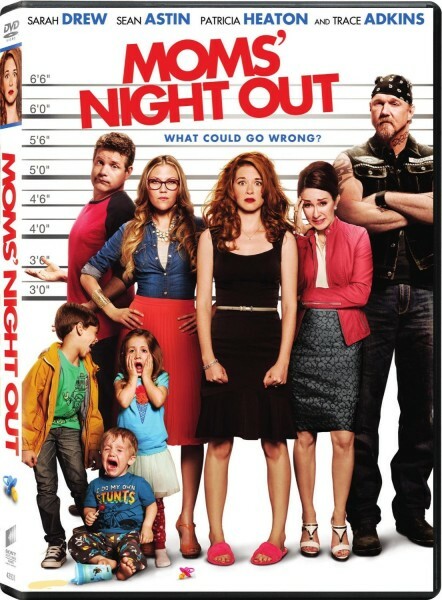 Critics Rating (Rotten Tomatoes): 30% (Very Rotten) Metacritic: 28 (Very Bad) IMDB: 4.6 (Bad) DISC DETAILS Amazon: $15.99 (Blu-ray); $11.99 (DVD); $3.99/$14.99 (Instant Rent/ Buy) Moms' Night Out – (Blu-ray, DVD and Instant) Directed by Andrew Erwin and Jon Erwin Written by Jon Erwin and Andrea Gyertson Nasfell Starring: Sarah Drew, Sean Astin (clearly not making the best choices), Patricia Heaton When three mothers want a night out, they must rely on their husbands to watch the kids... what could possibly go wrong? Critics Rating (Rotten Tomatoes): 18% (Remember when I asked what could go wrong?) 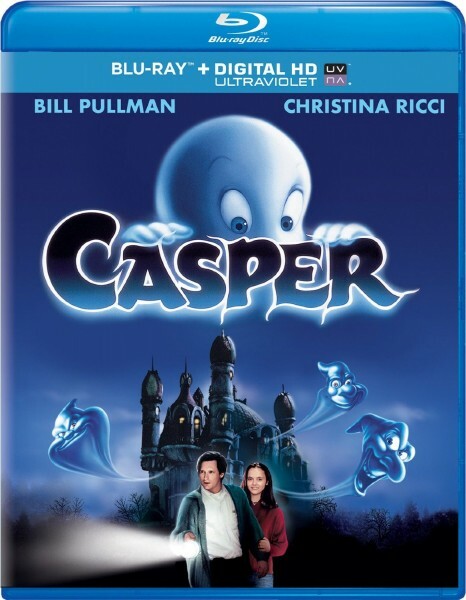 Metacritic: 25 (...) IMDB: 5.4 (Bad) DISC DETAILS Amazon: $16.99 (Blu-ray); $14.99 (DVD); $3.99/$14.99 (Instant Rent/ Buy) Re-Release: Casper (1995) – (Blu-ray) Directed by Brad Silberling Written by Sherri Stoner, Deanna Oliver and Joseph Oriolo (characters) Starring: Christina Ricci, Bill Pullman, Cathy Moriarty Afterlife therapist, Dr. James Harvey (Pullman) and his daughter, Kat (Ricci), are hired to exercise an old mansion with a hidden treasure. Kat is able to befriend one of the ghosts who is being bullied by his three mean uncles, and assist her father in the “exorcism”. Critics Rating (Rotten Tomatoes): 44% (Rotten) IMDB: 6.0 (Good) Entertainment Fuse: 6/10 DISC DETAILS Special Features: Audio Commentary with Brad Silberling; Deleted Scenes; Penguin for Your Thoughts – Classic cartoon Amazon: $13.49 (Blu-ray) Score (DVDTalk.com): Content: 3.5 stars(out of 5); Video: 3.5 stars; Audio: 3 stars; Extras: 3.5 stars; Replay: 3 stars. Recommended.